So you've invented something. Congratulations! That was the easy bit. Your challenge is to make money from your invention without losing your shirt, your home, your marriage or even your mental health. I am not being flippant. In all the years that I have been practising law, I have known far more inventors whose lives have been ruined by their inventions than those who have become rich from them. The reason why bad things happen to inventors is that they allow themselves to become obsessed with their inventions. Obsession clouds judgment which leads to bad deals and bad decisions. Often there is only so much that an inventor's spouse or partner can stand. That is what leads to family breakdowns. Money and relationship problems can lead to depression or worse. In many cases, those misfortunes could have been avoided by seeking good advice at an early stage. Now intellectual property advice can be expensive but it does not have to be. There is a lot of good advice on the internet for free. 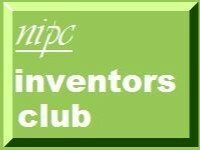 One of the best sources of advice is the Inventors Handbook on the European Patent Office website. "The purpose of this Inventors' Handbook is to provide you with basic guidance on all the key stages of turning an invention into a commercial product. Or perhaps we should say the key stages of turning an idea into an enterprise, if we are to widen our definition of 'invention' to include novel processes, business methods, social interactions etc. Though invention has traditionally been associated with manufactured products, it is now better understood that new wealth has always been created primarily from new knowledge, or novel uses of existing knowledge." I would invite readers to read the rest of the page which stresses the need to reduce risk and control costs and that is where someone like me can often be of assistance. Outright sale of your idea." It also warns readers to take care when dealing with invention promotion companies. Over the next few days, I shall be exploring each of the above options and explaining where you can get more help. If you want to discuss this article, call me on +44 (0)20 7404 5252 or send me a message through my contact form.